World Travel; send personal, electronic postcards! It’s always been a bit of a drag, going on holiday and having to source a nice postcard that reflects the area you have travelled to. From personal experience I have found myself putting aside half a day to hunt for the right cards to send home. Then there’s the added dilemma of actually finding a post office to buy some stamps & beating the card home before you yourself return! 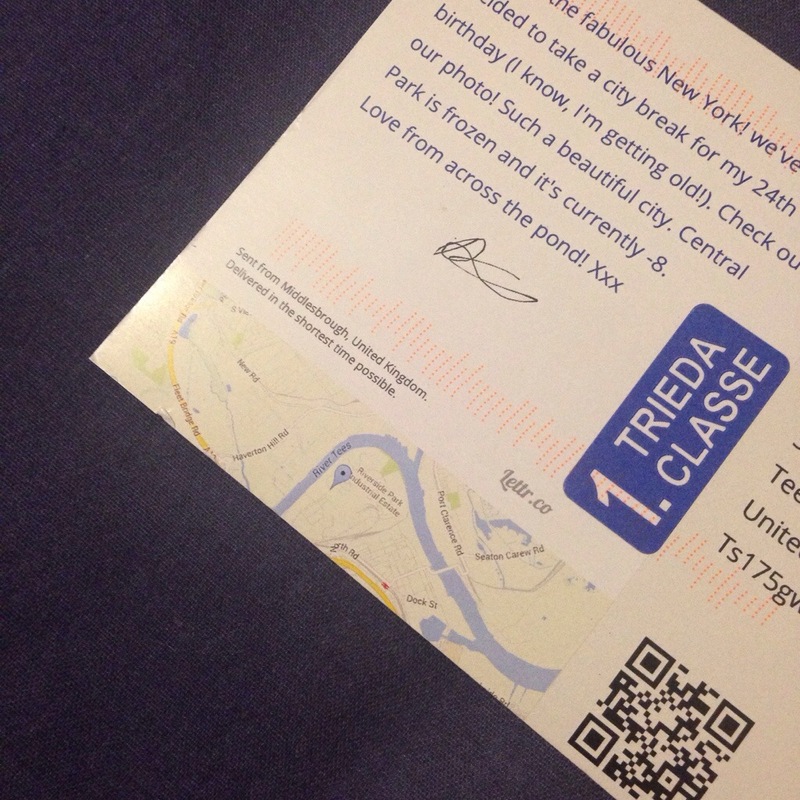 I’ve toyed with the idea of personal postcards and have done some research into the best service at the right cost. Last week I stumbled across a Lettr.co. 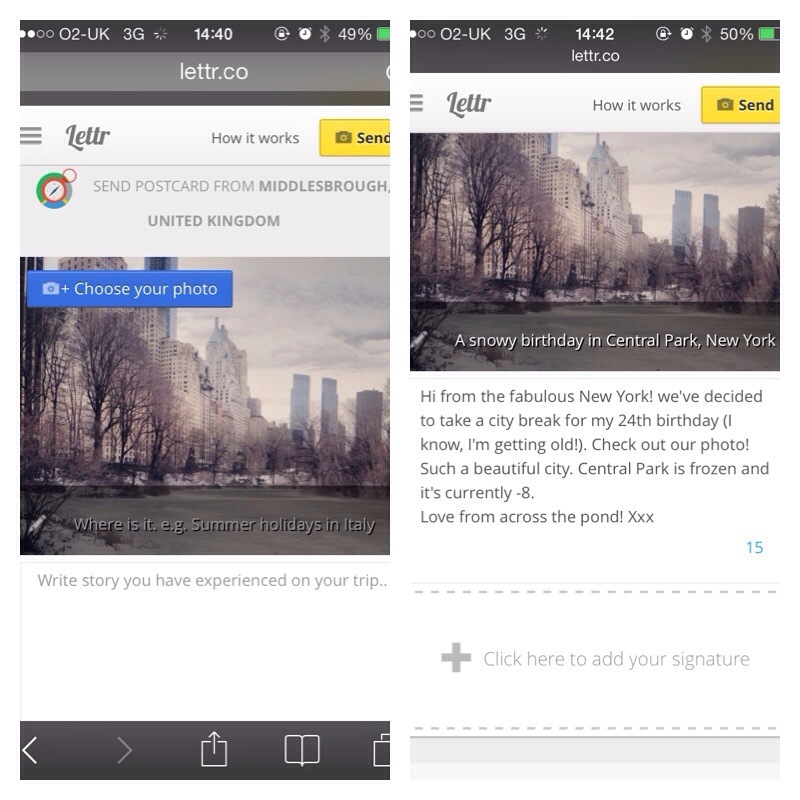 Lettr.co allows travellers to send innovated papery postcard from any place in the world. No need in having a pen, stamp or even postcard! 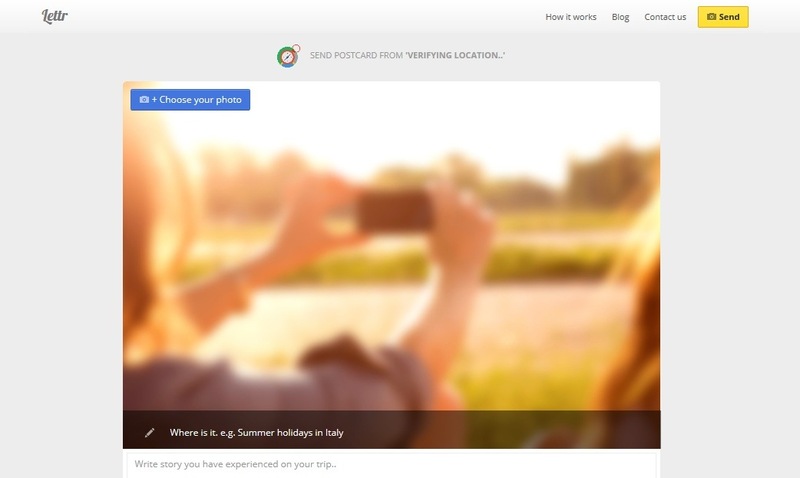 Just snap yourself in your travel destination and take it from there. I tested out the service to see exactly how well it works and I’m delighted to say ‘I’m impressed!’. The feature works great from both a mobile device or computer and is quick and simple to navigate (it took me the grand total of 3 minutes from start to finish, and that included some dithering towards what I wanted to write! 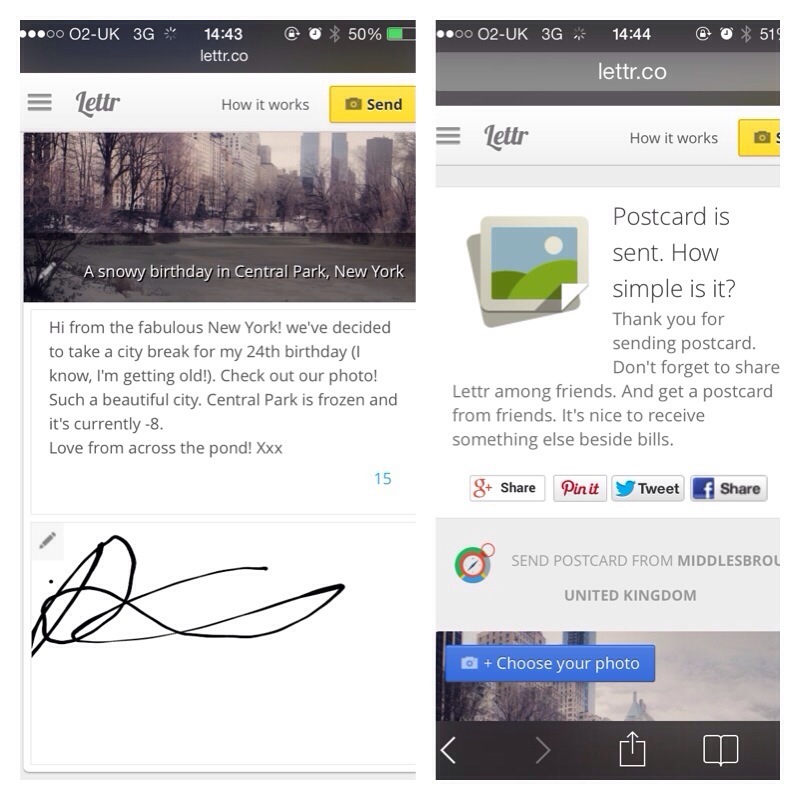 ), below are some print screens of the step by step process to sending home your personalised postcard. With the great feature of adding your signature as a personal touch! And fully impressed with the end result! Great quality card with both the QR code and exact location of which I sent the card. My new favourite service. Ha! What a wonderful idea. I love postcards! oh wow! I didn’t know this existed!!! I love the concept. Thank you so much for this article!